One of the accolades that Canadian-developed run-and-gun platforming game Cuphead has received is for its 1930s cartoon aesthetic. All the game’s artwork was drawn by hand and animated in a seamless and beautiful style. Indie studio Waffle Games takes inspiration from this visual direction and transitions the concept to mobile devices with Take Flight. Take Flight is structured like an endless runner, similar to games such as Flappy Bird and Temple Run 2. Players take control of two pilots, Buddie Boy and Bonnie Boo, as they try to cover the most distance and collect gears (the game’s currency) along the way. However, it’s not smooth flying, as enemies will try to shoot your plane down. To help you survive your flight, there are four power-ups — a magnet, a gun, a shield and a boost — that will randomly appear as you cover distance. The magnet power-up attracts gears so you don’t have to go out of your way to collect them, the gun attachment allows you to shoot down enemies, the shields let you take an extra hit and the boost will help you cover more distance. You can only take three power-ups when you start a game, meaning you won’t have access to all four. Controlling the plane is quite simple. Simply tap and hold the touch screen to ascend and let go of the screen to descend. Each power-up is also activated automatically. As a result, you only need to worry about controlling your plane. You can also increase the power-ups’ duration by purchasing upgrades using gears collected during gameplay. Overall, these simplistic controls work well and create a tense atmosphere while you’re trying to survive in the air. Like Cuphead, Take Flight takes full advantage of its cartoon aesthetic. The entire game maintains its visuals without sacrificing any details. Take Flight also has a great soundtrack, playing funky tunes that you expect from older cartoons. If you want to have the full 1930’s experience, there’s a toggle that turns the game into black-and-white. It’s a charming addition, though it made it more difficult to see power-ups during gameplay. Other fun inclusions are in the shop, where you can change the main character’s costumes along with your plane’s gunshots. 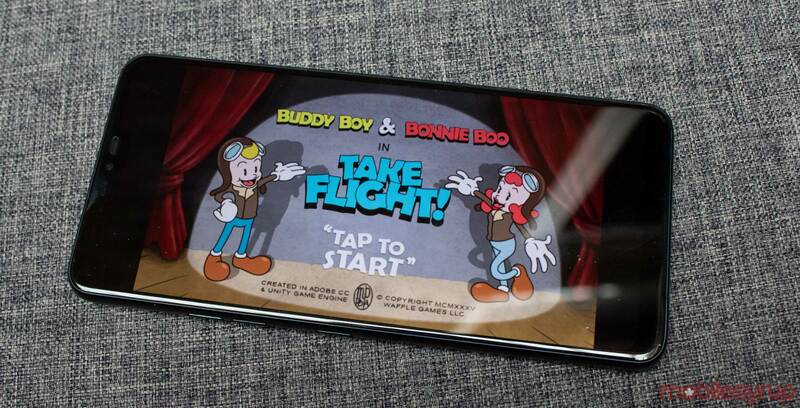 Like with all free-to-play games, Take Flight features microtransactions and advertisements. That said, both are implemented quite well. Ads are used to continue your progression if you want to keep flying. Otherwise, the only way to keep your progress is to spend 500 gears, which is a fair trade-off. In terms of microtransactions, you can either buy gears or permanent enhancements, such as double XP or double the amount of gears in a stage. Overall, Take Flight is an enjoyable way to pass time with very admirable visuals. The game is available for free on iOS and Android devices.